Mel Gibson Will Join ‘Machete’ Sequel, ‘Machete Kills’!!! 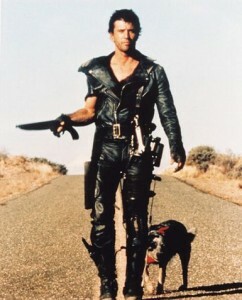 Mel Gibson is in final negotiatons to play one of the supporting roles in Robert Rodriguez’s sequel to ‘Machete’. We have written about the sequel to ‘Machete a few times before on the site and we are very excited about another adventure with Machete. The sequel is called ‘Machete Kills’ and will bring Danny Trejo back as the machete wielding badass according to Deadline. Rodriguez was discussing the film earlier in this year and said that there were several big stars talking about being the movie, but he did say that Gibson was definitely in. This is just great news. Steven Segal did a great job as the bad guy in the first film, and Robert De Niro was great to watch as a loosely based Governor Rick Perry. I can only hope that Mel Gibson knocks this role out of the ballpark which he will. This entry was posted on Monday, April 23rd, 2012 at 8:19 pm	and is filed under Film, News. You can follow any responses to this entry through the RSS 2.0 feed. You can skip to the end and leave a response. Pinging is currently not allowed. Mel Gibson can knock this out of the park if he just plays a character named ‘Mel Gibson’ who’s a ranting anti-Semitic drunk. « Bryan’s Review of ‘Extraterrestrial’!! !